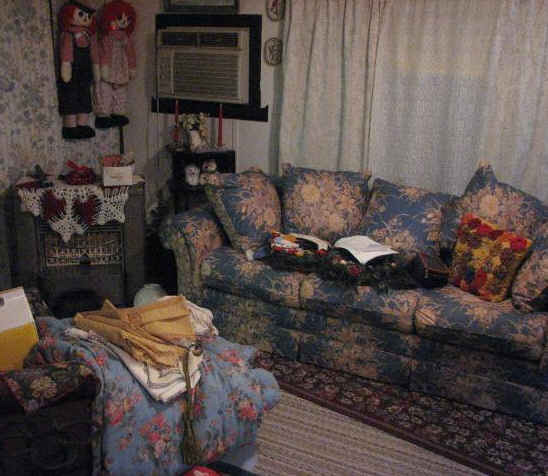 RIP, Raggedy Ann and Andy. Poor dolls. In honor of Halloween, today we are sharing some haunting home decor images. 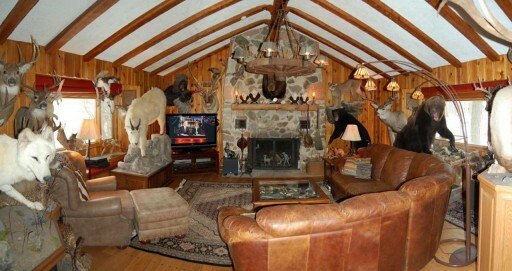 Most of these images are pulled from actual (shiver) real estate photos via Hooked on Houses. 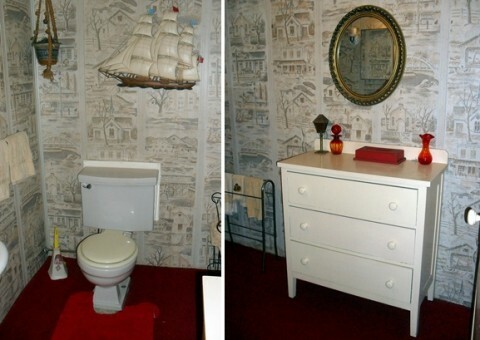 This is what happens when your worst nightmares come true and well intended “creative” decorating takes an evil turn. If you are living in the horror of clashing textile patterns, peeling wallpaper or an infestation of furry animals (not living) or dolls. . . please march straight to the phone and call us. Otherwise, comfort yourself with the knowledge that you don’t live in one of these rooms. . .
Lions and Bears and Tiger, Oh My! These dolls are more scary than sweet. . .